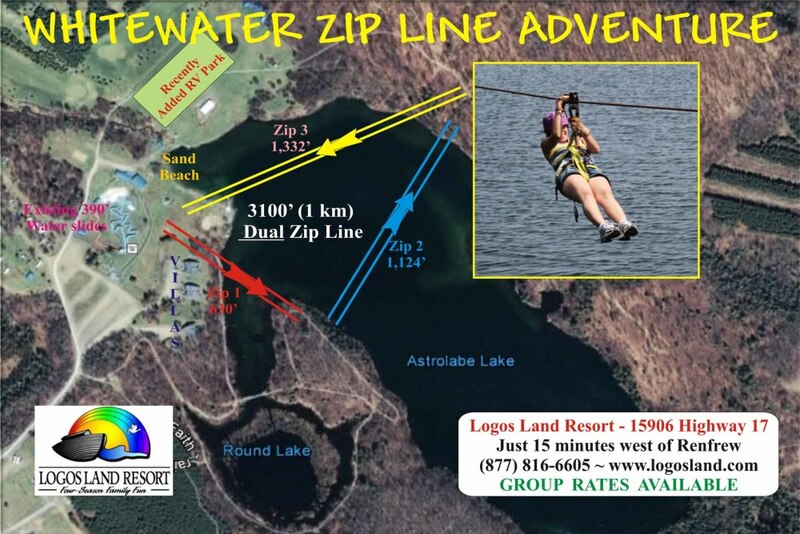 The first leg of our Zip Line adventure is 630 feet and starts right next to our Waterpark (Red Arrow on Map). The second leg is 1,124 feet long and is represented by the blue arrow on the map. The 3rd & most exhilarting leg in our Zip Line adventure is marked with the yellow arrow. This leg provides a spectacular view of the park as you wisk 1,332 feet (MORE THAN 1/4 MILE!) to finish the course just a few feet from where you started.